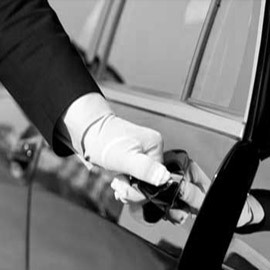 ClockTower Cars specialises in transporting clients in our wide range of private hire vehicles and adhering to schedules to make sure they get where they want to be with time to spare. 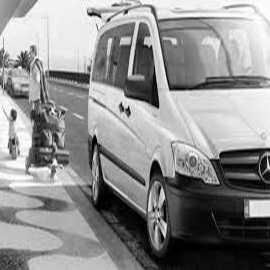 Regardless of whether you want a quick ride to the Tolworth Tower, need help picking up the kids or require a ride to the airport for your connecting flight, we offer impeccable service and guarantee the lowest possible rates with our taxis Tolworth. 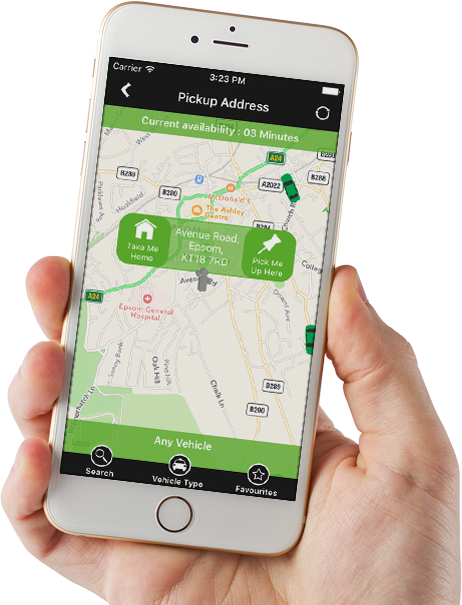 Booking your Tolworth Taxis with us couldn’t be simpler; just download our free app today and see for yourself. The ClockTower Cars app is available for download for both iOS and Android devices and lets you plan out your journey, pick a preferred car, stay updated on the latest ClockTower news, and track the progress of the journey via GPS technology. On top of having GPS technology fitted into our vehicles, our drivers know the area like the back of their hand and can guarantee you a quick and safe journey. Each driver undergoes thorough training to make sure they have a full knowledge of DVSA requirements and Disability Awareness. Our cabs in Tolworth will give you a chance to explore a wealth of culture and fun things to do. Tolworth has a wealth of culture and fun things to do, as well as a rich history that dates back to the Second World War. You can still see the remnants of wartime bomb damage within the city as a reminder of the people who fought and gave their lives for us in the Second World War. Tolworth was also the place where David Bowie first launched his Ziggy Stardust stage show in the now-closed Toby Jug pub, with many other famous English bands playing gigs there in their early days, such as Led Zeppelin, the Yardbirds, Fleetwood Mac, Black Sabbath, Jethro Tull and much more. Plus, with our Tolworth cabs, you have access to a variety of other boroughs and unusual London locales thanks to our fantastic private hire service. We can drive you to anywhere you need to go in our fleet of attractive vehicles, which have been designed to suit all of our clients' needs. Get in touch via our 24-hour line on 0208 397 4747 or simply click here to book our services online. We’ve been using ClockTower Cars as our preferred taxi company for a few years, now. They’re prompt, efficient and their drivers are smart and care about their customers. Cannot recommend them highly enough. ClockTower is efficient, 24/7 and is always professional. I’ve been using them for my business customers for the past two years, and they’ve never let me down. Their app makes it easy for me to make bookings in advance. Great driver, friendly service. I’ll definitely use ClockTower again. Really satisfied with ClockTower Cars. I cannot recommend their services enough. Their driver waited for us even though we were running late. Friendly and reliable – I’ll definitely be using them again!